A new Harris Poll has found that 58 percent of Americans believe there is a connection between videogames and violent behavior in teenagers. It was heartening to hear U.S. Vice President Joe Biden insist that the government wasn't reflexively pointing fingers at videogames in the wake of the Sandy Hook mass murder, but a lot of people expressed dismay at the mere presence of videogames in the conversation. Why, they asked, are we talking about videogames when guns, violence and mental health are the obvious issues? The findings of a recent Harris Poll may offer some insight into the situation, and why games are likely to remain a hot topic for some time to come. Despite years of research finding zero correlation between the two, a survey of 2278 Americans found that 58 percent believe videogames contribute to real-life violent behavior in teenagers. Furthermore, a whopping 47 percent said they are not at all confident that ESRB ratings will "keep mature games out of the reach of kids," yet 38 percent claimed they knew nothing about videogame ratings and 33 percent said they just let their kids play whatever they want. "The findings underscore the lack of awareness Americans have about the videogame rating system, as well as the confusion in the market," Harris Poll President Mike de Vere said. "They also factor into a larger discussion playing out across our country and on a political stage around how violent games impact our youth, with President Obama recently announcing his desire to look into ways to fund research examining the impact of violent video games on children." 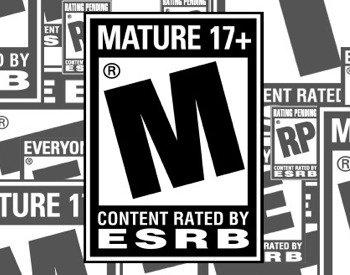 Respondents also expressed greater confidence in the MPAA rating system to protect children from mature content than ESRB ratings, 49 percent to 32 percent, despite the FTC consistently finding that ESRB ratings are adhered to far more stringently than any other media rating system in North America.